So today's post is something a little different from the usual beauty/fashion/lifestyle post that you find here on JustKatiee. My mum and dad are celebrating their silver wedding anniversary in early August and I'm starting to plan what I'm going to get them. They're the type of people that have everything so they tend to be quite difficult to buy for and I feel like I've gone through all the presents in the world over the years. Celebrating 25 years is a huge milestone so they deserve a fitting gift. I think that a fabulous gift for celebrating a 25th wedding anniversary is sending my mum and dad on holiday to the very place they went on their honeymoon. My parents ventured to Kenya for their honeymoon and it looked incredible and I'd love to send them back their to relive the memories but unfortunately I cannot afford that (sorry if you're reading this mum and dad! ), it's the thought that counts though right!! I think a lovely gift if you're on a budget is a set of silver plated champagne flutes. They're silver plated so it counts with the theme of silver, and it's a nice momentum too! I'm at the age now where a few of my friends are starting to settle down and some are getting engaged to be married. 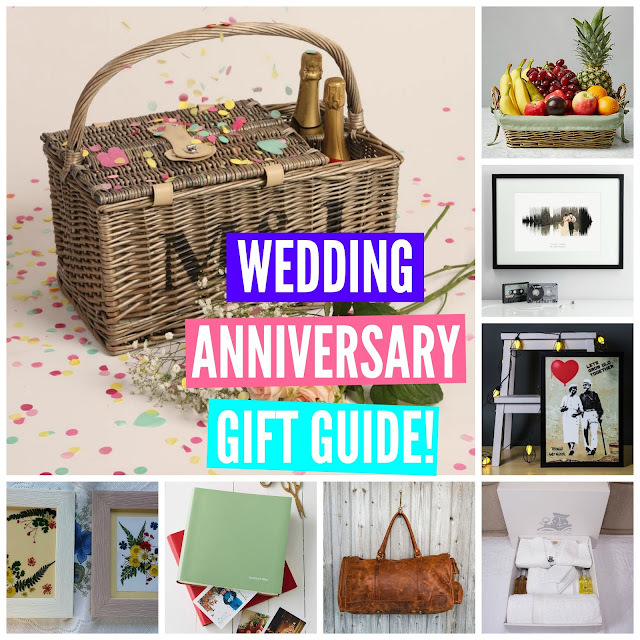 It's hard to think of anniversary gifts for all your friends so today I'm going to share with you a few gift ideas for the first five years of marriage to help give you a little bit of inspiration. This personalised wedding soundwave print is such a cute gift for a couple who love music. It's a print of the soundwave from their special song. 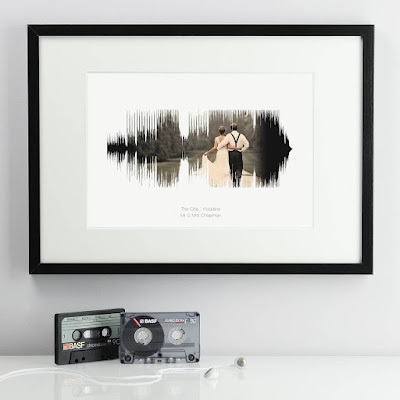 It could be their first dance song or simply a song they both love. I think it's a really sentimental and thoughtful gift. 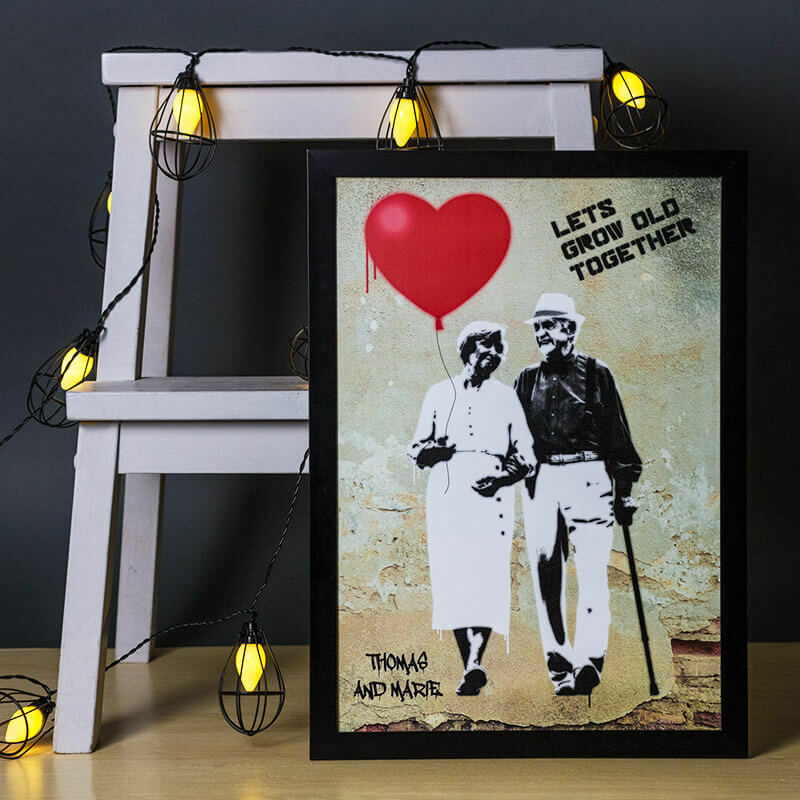 An alternative to non music lovers is this let's grow old together print. This one is great because the print is fun and edgy perfect for couples in their first year of marriage. A couple who've been married for 3 years will have obviously spent a lot of time together but it's important to get away for a weekend together and spent some quality time together away from social media and the manic city life we all live. I think to compliment the weekend away a new couple would love a MAHI Leather Bag which can be personalised like the cotton robe set. I think this is really special gift because you can have the bag engraved with the initials of the couple and it's something that will last them forever. MAHI also donate $1.50 from every sale of a bag to FRANK Water Projects which is a UK based charity helping thousands of people gain access to clean water - so you're doing something good by buying them a gift from MAHI. Another alternative for leather is a personalised leather photo album. Again, this is personal because you can fill it with photos of the first three years of marriage! 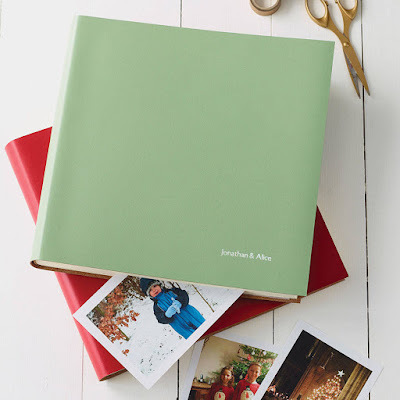 It also makes a great scrapbook (you could even go all out and start the scrapbook for them sharing your favourite memories of the happy couple. 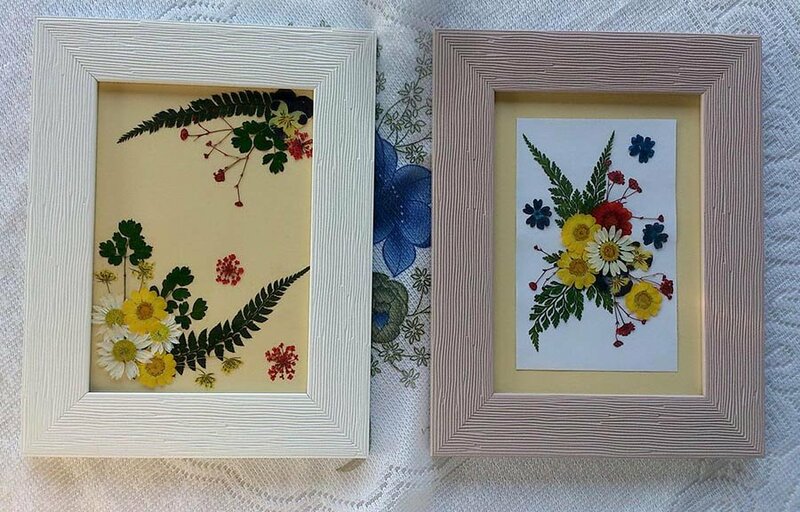 Four years of marriage is symbolised by fruit or flowers and I think a unique gift for flowers is pressed flowers in a frame. This is a bit different from the usual bunch of flowers that die after a few weeks but this gift idea can last much longer and would look great in a new home too! 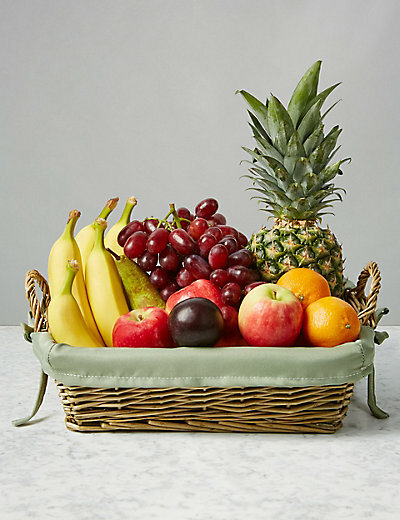 For fruit, I love this traditional fruit basket hamper, perfect for picnics too! Finally for the five year mark the them for gifts is wood. Now I struggled a little bit with this because I feel like it's difficult to get a joint gift that resembles the theme of wood but I did come across this gorgeous picnic basket which again is personalised so great for a sentimental thoughtful gift! Definitely one for food lovers!! 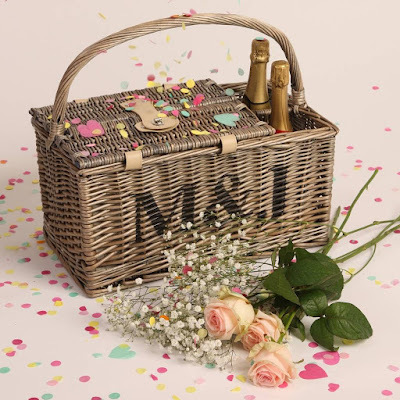 What would you buy your friends/family for their wedding anniversaries? Let me know below it would be good to have some inspiration and let me know if you end up buying any of the gifts above! 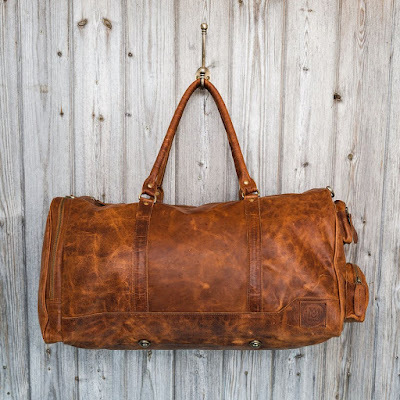 I think my mum would particularly like the cotton robe set and my dad would like the look of that leather bag!